Apple raises AppleCare+ pricing for Apple Watch Series 4 to $79, introduces monthly payments. Apple has bumped the cost of its AppleCare+ warranty service to $79 for owners of the new Apple Watch Series 4, an increase that presumably covers more expensive components like integrated ECG sensors. The new $79 price tag is $30 more dear than AppleCare+ for Apple Watch Series 3. In addition to the updated pricing, Apple is introducing a monthly payment option for new buyers which, for Apple Watch Series 4, comes out to $3.99 per month for a period of up to 24 months. Apple fails to explain the price bump, but it can be assumed that Apple Watch Series 4 costs more to repair or replace. Apple announced its latest wearable at a special event on Wednesday. 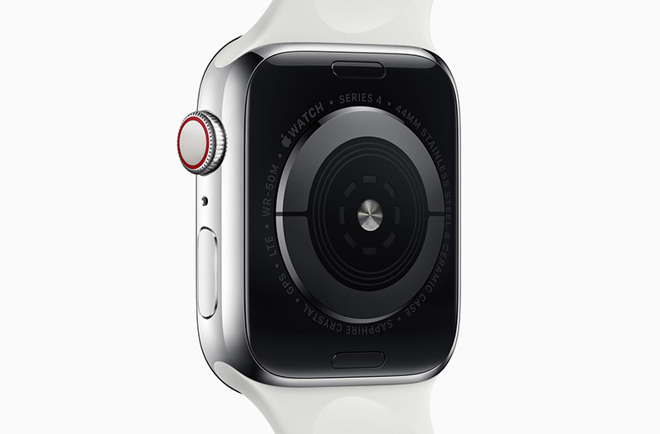 New features include a larger OLED display, new S4 system-on-chip, refined chassis with all-ceramic back, updated internal sensors and a new heart rate monitor with electrical heart sensor system capable of generating an ECG. While past Apple Watch models benefitted from evolutionary updates, Apple Watch Series 4 incorporates a number of new, and likely pricey, hardware upgrades. The new AppleCare+ pricing applies to both stainless steel and aluminum Apple Watch Series 4 models, including Nike+ versions, with GPS or GPS+Cellular connectivity. Apple Watch Herm&egrave coverage remains steady at $99. AppleCare+ for Apple Watch extends warranty coverage for new devices up to a period of two years after date of purchase. Coverage includes up to two incidents of accidental damage, though users are required to pay a $69 deductible — $79 for Apple Watch Herm&egraves — for each occurrence. Like other AppleCare+ plans, the dedicated Apple Watch Series 4 agreement includes express replacement service, carry-in and mail-in repairs, global repair coverage and access to Apple's technical support teams. The change arrives alongside updates to AppleCare+ for iPhone, which now includes loss and theft protection.